The Shale Volumetrics plug-in extends Petrel* to support volumetrics for shale gas reservoirs using geological models of Petrel. The physic is fully respected with Langmuir isotherms to compute the adsorbed gases. 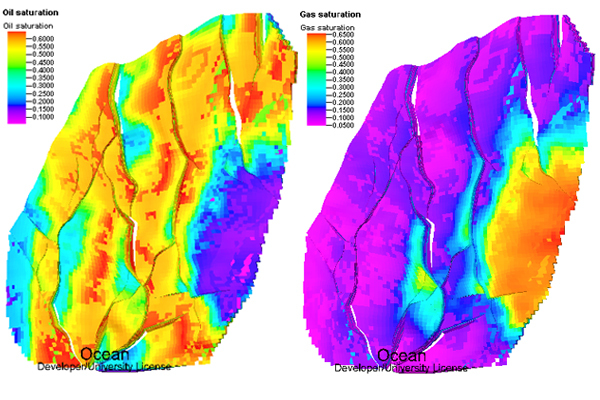 The Shale Volumetrics plug-in performs an exact calculation of initial gas in place in reservoir and surface condition on high resolution geological model. Adsorbed gases and liquid-rich gases are considered, with different qualities of shales. Ability to perform uncertainty estimations. Shale Volumetrics webinar - Watch now ! Different quality of shales can be considered using 3D spatial distribution provided by high resolution geological model in facies and porosity built inside Petrel. 3D TOC distribution can be considered. Overpressure zone can be considered. After calculations of pressures, initial gases in place are calculated in reservoir conditions. The Black-Oil representation of fluids considering liquid-rich gases. Initial oil and gas in place are also given in surface conditions. Both free and adsorbed gas are calculated for shale lithofacies. Liquid-rich shales will generate liquids in surface. Shales may contain a sizable part of the GIIP. 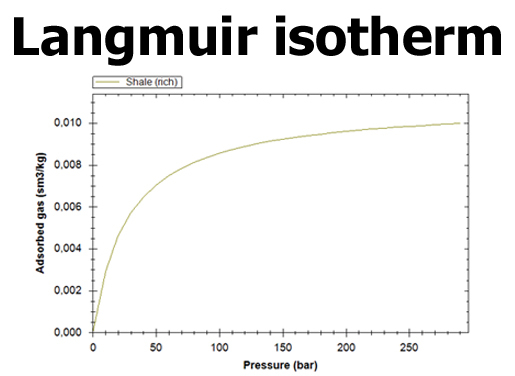 The plug-in Shale Volumetrics uses Langmuir isotherms possibly different for different shale lithofacies. 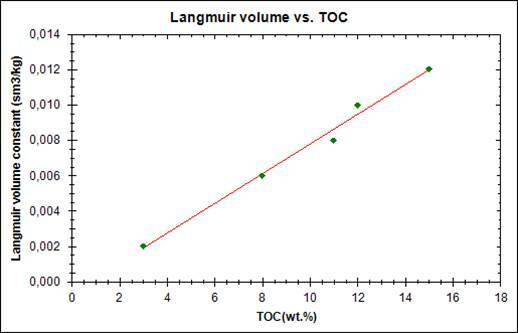 Langmuir volume vs. TOC can be considered. 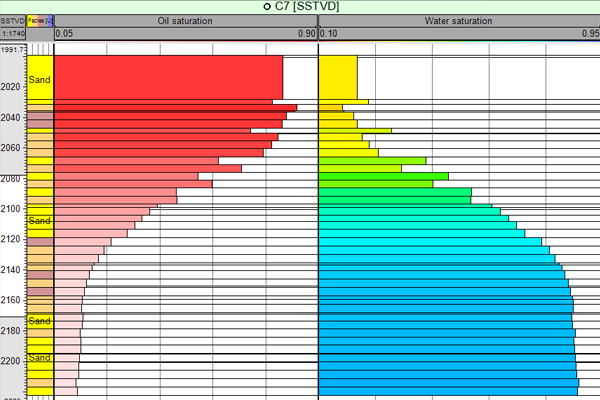 These saturations can be compared to log extracted values to cross-check/update geological models and data. 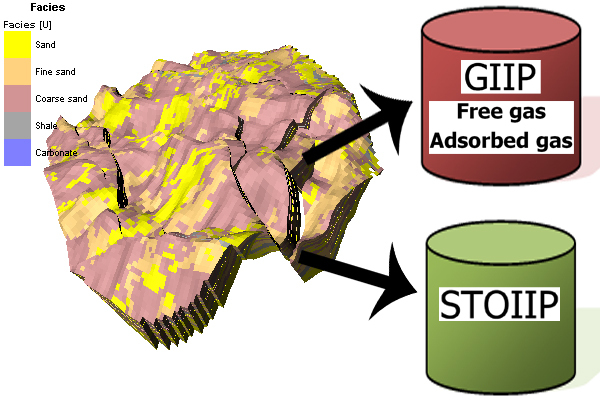 The outputs of Shale Volumetrics are 3D grid of saturations, pressure, STOIIP, GIIP in pores and adsorbed in shales. The outputs of uncertainty analysis are : histograms of volume distribution, inverse cumulative of distribution, P90-P50-P10 and pie chart. A Word text report summarizing your data and results is provided on a clic!